One of Hong Kong’s most iconic buildings; immortalized in Hong Kong movies, both loved and hated. Chungking Mansions is a Hong Kong legend. Set in the middle of the Tsim Sha Tsui tourist district, Chungking Mansions are instantly recognizable by the touts collected outside, pitching everything from cheap meals and cheap accommodation to tailored suits that will fall apart five minutes after you've bought them. It's a chamber of commerce that has attracted immigrants of every race, color, and creed to crowd together. Originally, Chungking Mansions was the accommodation block of choice for new arrivals from India, Pakistan, and Africa. This is a legacy that remains today, and Chunking is still a veritable United Nations of nationalities. During the 70s and 80s, it also became famous as a den of dodgy dealings; from picking up a bag of something illegal to a rampant red light district. In particular, the triads ruled the roost - and the warren of corridors back stair entrances and alleys made it a foreboding place to wander around. The vice and the triads have largely been swept away, but it remains the best place in town to see a slightly grungier, corporation-free Hong Kong. More popularly, it is also the best place in town to find delicious Indian and Pakistani staples served in bare-bones canteens. 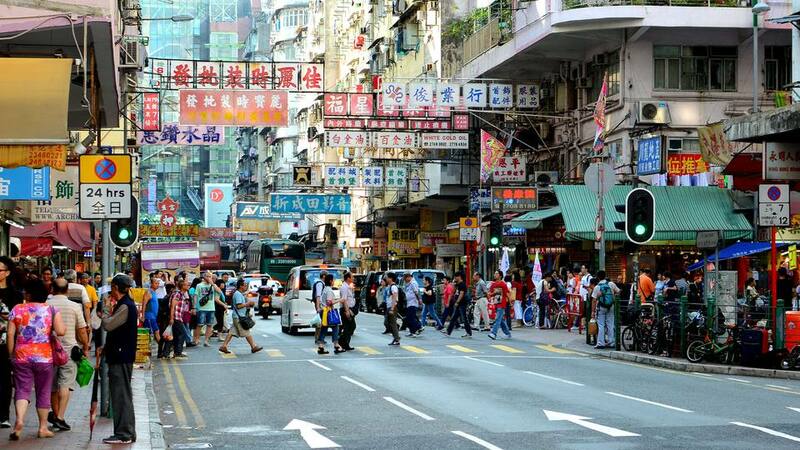 Click through our Chungking Mansions photo guide to get a step by step tour of the interior. You can find Chungking Mansions at Tsim Sha Tsui, Nathan Road 36-44. The first thing you’ll see as you walk into Chungking Mansions is a lone Chinese security guard. He may not look it, but this man is essential to any visit to Chungking. If you’re not Chinese, and you walk into Chungking, it is assumed that you are looking for Indian food. Before you reach the security guard, you’ll be mobbed by touts from a variety of Indian restaurants who will try and pull you away to their restaurant. This can be a little unnerving the first time it happens but keep your cool. In a heartbeat, the Chinese security guard will stride out from his post to briskly tell the touts to move back. You are then left with fifteen leaflets for Indian restaurants to choose from - pick your restaurant and the guard will call forward the appropriate tour to guide you through the maze of Chungking to your chosen restaurant. Chungking Mansions is packed with market-like shops, mostly selling food, although pirated Bollywood films, mobile phones, and other various low-cost products can also be found. 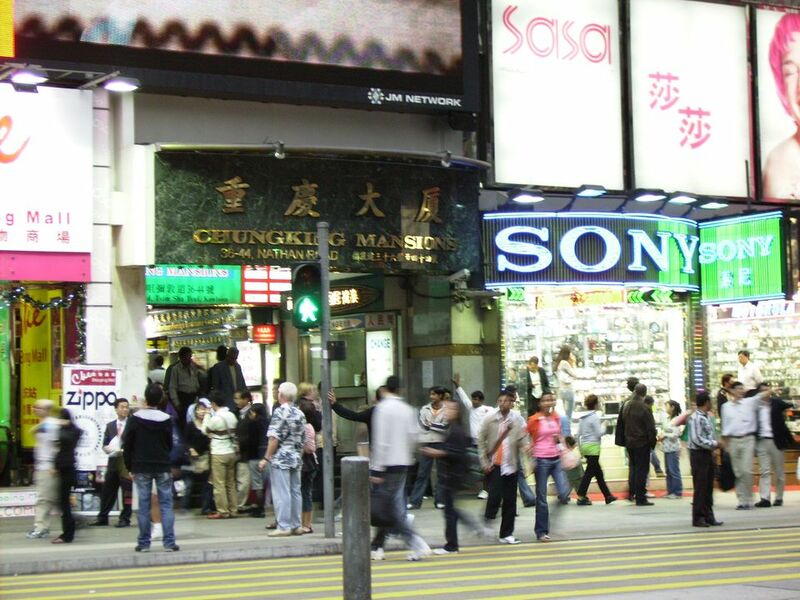 Chungking is also home to a variety of pirated computer software, fake phones, and imitation handbags. You buy at your own risk, and neither the onsite security nor the Hong Kong Authorities will have any sympathy if you have bought a dud. There are better places in Hong Kong to buy electronics. Chungking Mansions is a sprawling complex and the elevators are the key. Certain lifts serve certain blocks, A, B, C, etc, however, it is easy to find yourself lost once you get up into a block. There is almost a constant queue for the tiny elevators, mainly due to the fact that the stairwells are filthy. If you want to find a certain restaurant, it is better to find the tour outside who can take up personally, if not consult the security guard at the front who will give you exact directions. If you are scouting for cheap Hong Kong hostels and want to look at a few places first, be sure to take the elevator to the top and work down as wait times at the bottom can be up to fifteen minutes.